This week’s article comes from Sean Bielat, former congressional candidate (2010/2012) and founder of OneClickPolitics.com and BuildQuorum.com. Large organizations and lobbyists have access and resources to mobilize popular support, but the general populace struggle to have their voices heard. Virtually every aspect of our lives has been changed by advances in mobile technology. Everything from choosing the best restaurant, to finding a match on Tinder, has been simplified so that finding the best option is as easy as the swipe of the finger on a mobile device. However, when it comes to deciding between political representatives and monitoring existing politicians, many people are unaware of the technology tools available to them. 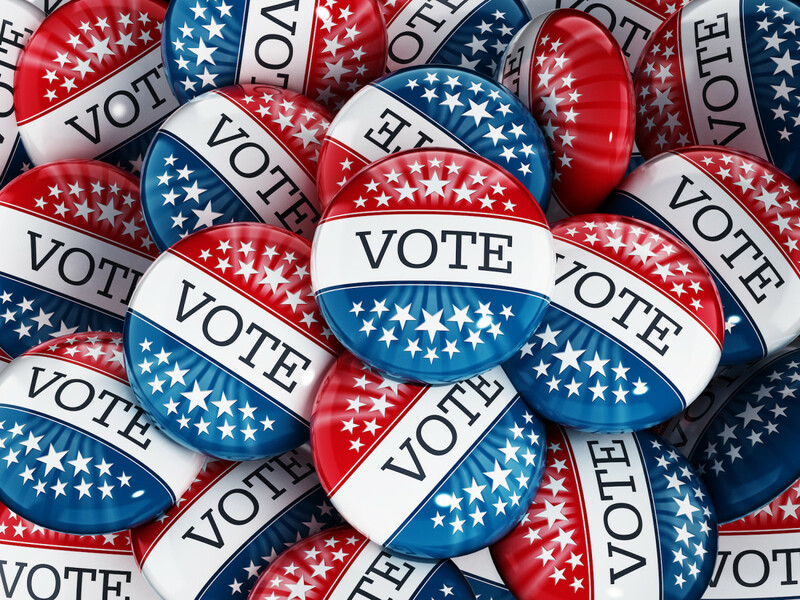 Tools are already available to inform American choices at the voting booth, allow them to monitor legislative performance and to “vote” on any issue they care about by directly sharing their opinions on key issues. However, many of these tools have slipped under the radar and are not being utilized to their full potential. The purpose of the article is to point out some of the technology available to everyday voters and urge Americans to be make informed decisions, not just focus on the candidates who dominate the media with outlandish comments and controversial headline grabbing tactics. A 2012 Census Bureau survey showed that more than four million registered voters in the U.S. stated that they didn’t vote in the 2008 elections because they were uninterested or didn’t like the candidates who were running. Many Americans are disengaged with politics, feeling that their demographic isn’t represented, or that their opinions don’t count. Changing this sentiment and promoting a more inclusive political system in the U.S. is the longer struggle, but in the short term, Americans should look at the means already available to them to learn about the candidates running for office, and find representatives who they feel they connect with. Numerous tools exist which can help voters make their choices based on how candidates’ positions on issues match up with their own. One of the most useful tools is Votesmart, a platform that allows users to choose the most suitable candidate for the presidential and congressional elections based on their stances on a number of key social issues, such as crime, abortion, the economy and immigration, to name a few. Users are asked questions about key issues such as, “Do you support mandatory minimum sentences for nonviolent drug offenders?” and about how strongly they feel on the issue. The presidential candidates who best match their opinions are then highlighted. After answering a range of questions, users can then choose the candidate profile that has the highest percentage match to their own views, and read more information about them. Other less user-friendly platforms also exist, such as selectsmart and isidewith.com. These sites ask users a list of questions about topical issues, ask them to rate the importance of these themes, and then offers the best selection of candidates based on their answers. Choosing a suitable candidate is a personal decision, which should not be taken lightly. The 2016 candidates include people from many religions, backgrounds, and ethnic groups, and the chances are that most Americans can find someone who shares their views if they take the time to do some research. People need to remember that candidates are elected representatives of the people who are public employees. In the same way as you wouldn’t hire someone to work in your family business just because they turned up in nice suit and talked themselves up a lot, without looking at any other CVs, the same goes for elections. Tread carefully, and make the most informed decision possible. Voters’ interactions with their chosen candidates shouldn’t just go as far as electing them to power. The wishes and opinions of the constituency should should influence the decisions of politicians once in office. However, given the vast scope of issues to legislate, representatives often take action outside of their area of expertise and with little guidance from their constituents. In those cases, they are likely to either a) take their best guess based on what they know about the issue, or be influenced by lobbyists, b) vote with their party, or c) trade their vote for support on an issue they care about. In a 2014 study published in Perspectives on Politics, Martin Gilens and Benjamin Page argue that average voters have a low to nonexistent influence on public policies. “Not only do ordinary citizens not have uniquely substantial power over policy decisions, they have little or no independent influence on policy at all,” the authors conclude. However, this is partly due to the fact that everyday Americans do not use the channels available to them to directly express their opinions to politicians. In the past, contacting political representatives was a long, time-consuming process that involved sending letters, making phone calls and writing lengthy emails. Citizens could visit the official House of Representatives website or Contacting the Congress to get phone numbers, email addresses and web forms for their state representatives, but this long process had no promise of a response, and deterred many Americans. Now several sites are available that enable people to weigh in on issues to help inform representatives’ actions, they help citizens provide more nuanced input than simply voting once every two or four years. POPVOX is an example of a platform that allows citizens to let legislators know exactly how they feel about a bill or issue presented before Congress. The platform offers legislators rapid feedback and lets them better understand the needs of their constituencies straight from the mouth of the public, which helps them determine which way to vote. That said, with the current level of technological advancement seen in the U.S., we should see even more platforms that offer direct lines of communication between to those in power and the people who put them there. My interaction with and feedback from everyday Americans while running as a congressional candidate inspired me to set up the new political advocacy channel, BuildQuorum. The platform is designed to enable people whose views may have previously gone unheard to meaningfully engage with the policy making process through interest articulation and aggregation. To return to the analogy of the family business, we don’t allow employees in any other business to work without being monitored or continually assessed. If someone isn’t doing their job, then they should be replaced with someone who can. For decades, we’ve tracked employee performance across almost every profession, but even as recently as a few years ago it was very difficult to monitor political representative performance. Even at the top levels of American politics, representatives let us down and fail to meet expectations. Lobbying organizations put out score cards on certain topics, but besides those, the primary resource for checking performance has traditionally been legislative records, which require extensive research to get a clear picture of performance and would be mind boggling for many average Americans. Now a number of sites offer access to legislative records, and also provide information about financial contributions and other related inputs. Opensecrets.org is an organization that tracks money in U.S. politics and assessing its effect on elections and public policy. The organization aims to offer understable and accessible information to the average citizen, improve political involvement and bring about a more transparent and responsive U.S. government. Another site with similar aims is votesmart, an organization primarily run by volunteers and interns who battle to strengthen the most essential element of democracy: access to information for whomever wants it. The platform lets users easily and instantly access information about every U.S. candidate through the Voter’s Self-Defense System, which includes voting records, biographical and contact information, issue positions, public statements and financial records. Almost every process in people’s day to day lives has moved online and is easily accessible via apps on mobile devices. For a country where many citizens feel a lack of engagement and inclusion with politics, it is key to offer up-to-date technological systems that facilitate active engagement. Fortunately, now it is easier than ever for citizens to be informed about hiring and monitoring, and give feedback to their “employees”, i.e., their government representatives. Tools are available to inform their choices at the voting booth, allow them to monitor legislative performance, and influence policies by sharing their opinions on key issues. The only challenge is to spread awareness about the tools that are available, and encourage people to use them.